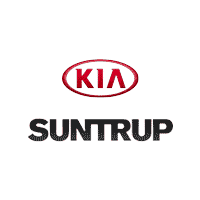 If you’re searching for used car dealerships in the St. Louis area, then take advantage of the extensive inventory available at Suntrup Kia South. We want you to drive home in a used car you feel good about, like a used Optima or Sportage, which is why we thoroughly inspect each and every vehicle on our lot for quality. And because we want you to get a great used car deal, we offer plenty of used vehicle exclusive offers as well as vehicles under $15k to further sweeten the deal. Explore our inventory online before visiting us near Oakville for a test drive! Lifetime Powertrain Warranty*, Heated Seats, Exterior Parking Camera Rear. Silky Silver 2018 Kia Sedona LX FWD 6-Speed Automatic with Sportmatic The Suntrup family have been servicing and selling cars since 1957 for the St Louis area.The Suntrup Automotive Group is active in its communities and believes in giving back. Today Suntrup Automotive Group has nine brands, eleven locations, thousands of cars and is every bit committed to providing excellent customer service in every aspect of the business. There's never been a better time to stop in our dealership at 6263 S Lindbergh Blvd St Louis, Missouri, 63123. Proudly serving drivers from Ballwin, Affton and Kirkwood. We're very much looking forward to it. 3.3L V6 DGI Odometer is 8478 miles below market average! Ready to drive home to Afton in your new Kia? Our team will walk you through every step of the used car-buying process – we’ll even be there to take care of your new Kia after you leave the lot! Rely on our service department to maintain your used car, and feel free to contact us in the meantime with any questions about our inventory of used Kia models and more. And, once you’ve gotten behind the wheel of your certified pre-owned Kia, check out the best scenic drives in Missouri.